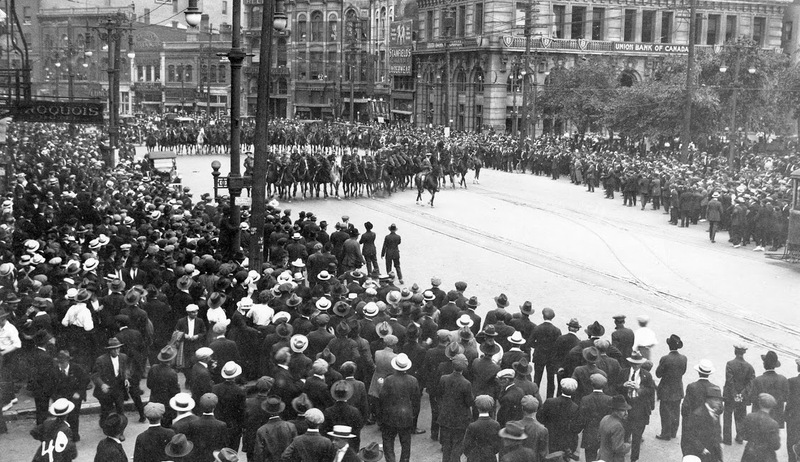 This year marks the centennial for the 1919 Winnipeg General Strike. With the city gearing up for celebration over this historical milestone, it's easy to wonder what all the fuss is about. 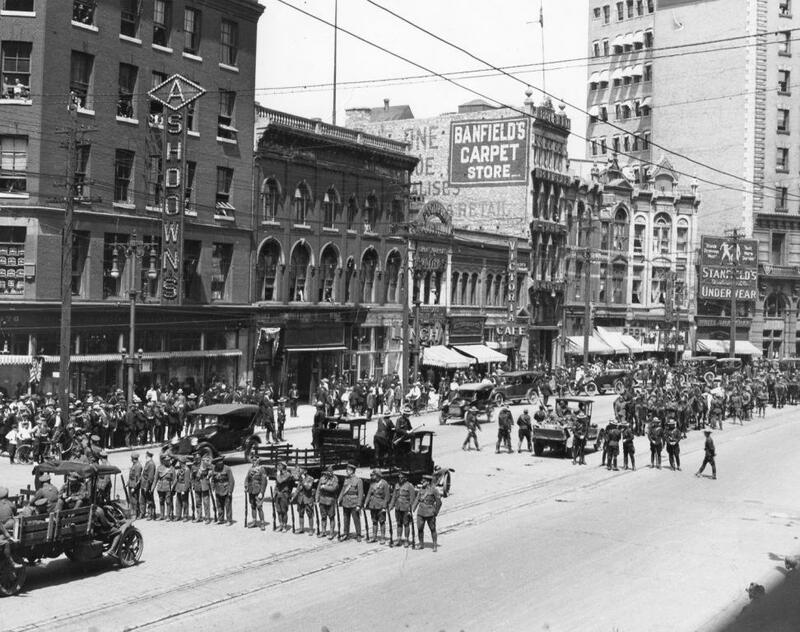 The Winnipeg General strike lasted from May 15th 1919 to June 25th, 1919 and is the best known General Strike for all of Canada. 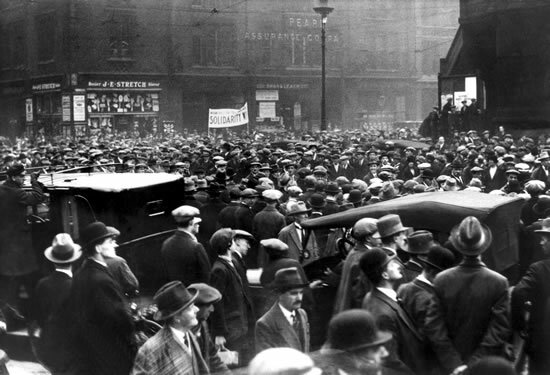 Massive unemployment and inflation, the success of the Russian Revolution in 1917, and rising Revolutionary Industrial Unionism all contributed to the postwar labour unrest that caused this famous strike. In March of 1919, Western labour leaders met in Calgary, Alberta to discuss the creation of One Big Union. 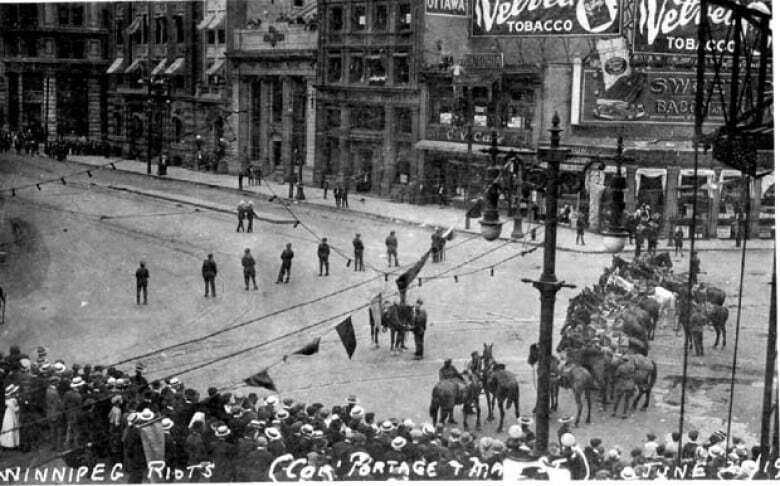 When negotiations broke down between management and labour in the building and metal trades, the Winnipeg Trades and Labor Council (WTLC) called a general strike on May 15th 1919. 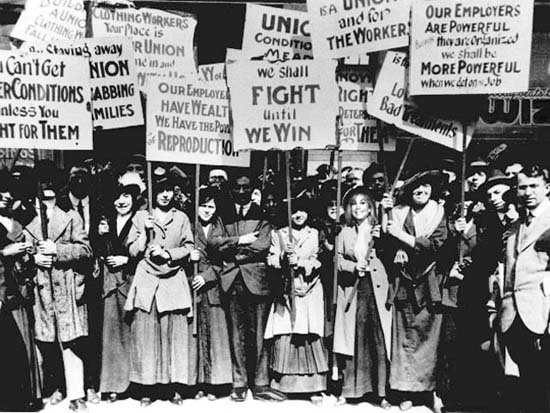 The principle of collective bargaining, as well as better wages and working conditions were at stake. Within hours of the WTLC calling for a strike, almost 30,000 workers left their jobs. 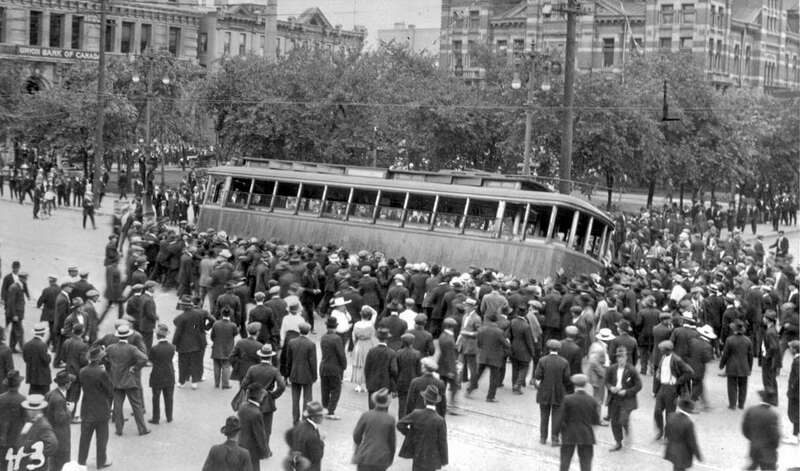 The overwhelming response from Winnipeg's working men and women closed the city's factories, crippled Winnipeg’s retail trade and stopped trains; even public-sector employees, including policemen, firemen, postal workers, telephone operators (the "Hello Girls" were the first to strike), and employees of waterworks and other utilities, joined the workers of the private industry in an impressive display of solidarity. The strike was coordinated by the Central Strike Committee, which was made up of delegates elected from each of the unions affiliated with the WTLC. The committee bargained with employers on behalf of the workers and also coordinated the provision of essential services, and what workers were required to provide these, despite wanting to be a part of the strike. Of course, opposition to the strike was also being organized by the Citizens' Committee of 1,000, which was created shortly after the strike began. 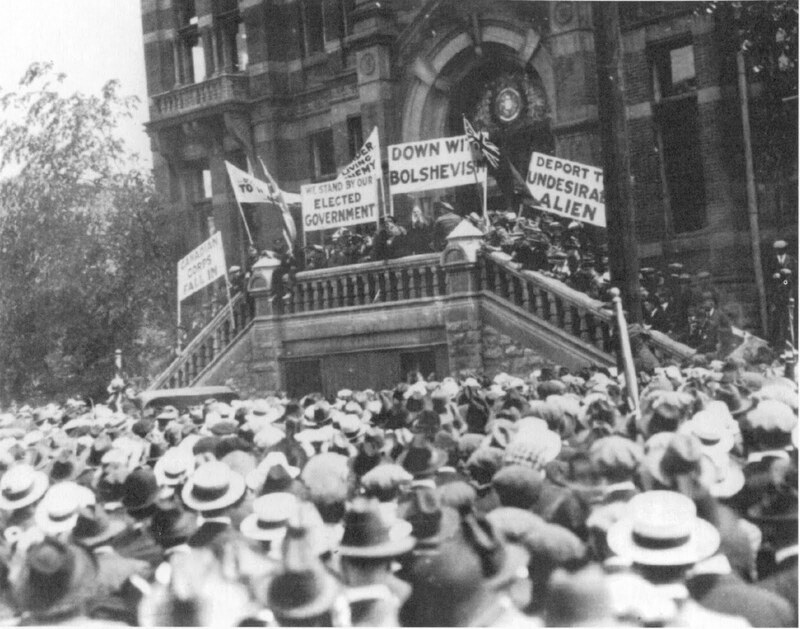 The Citizens' Committee of 1,000 was made up of Winnipeg's most influential manufacturers, bankers and politicians at the time, and rather than giving the strikers' demands serious consideration, the Citizens' Committee, with the support of Winnipeg's leading newspapers, declared the strike a revolutionary conspiracy led by a small group of "alien scum" (this was the term used, though it was used in reference to the large numbers of European immigrants). Even though the evidence failed to support the Committee's claims, they used these unsubstantiated claims to block all conciliation efforts. Soon after the strike began, the Federal Government decided to intervene out of fear that the strike would spark confrontations in other cities. The Minister of Labour and the Minister of the Interior and acting Minister of Justice, went to Winnipeg to meet with the Citizens' Committee (requests from the Central Strike Committee for a similar hearing were refused). At the Citizens’ Committee’s advice, the Federal Government quickly sided with, and supported the employers. Federal workers were ordered to return to work immediately or face dismissal. The Immigration Act was also amended so British-born immigrants could be deported. On June 17th, 1919, the government arrested 10 leaders of the Central Strike Committee and two propagandists from the newly formed One Big Union. Four days later, a charge by the Royal North-West Mounted Police into a crowd of strikers resulted in 30 casualties, including one death. 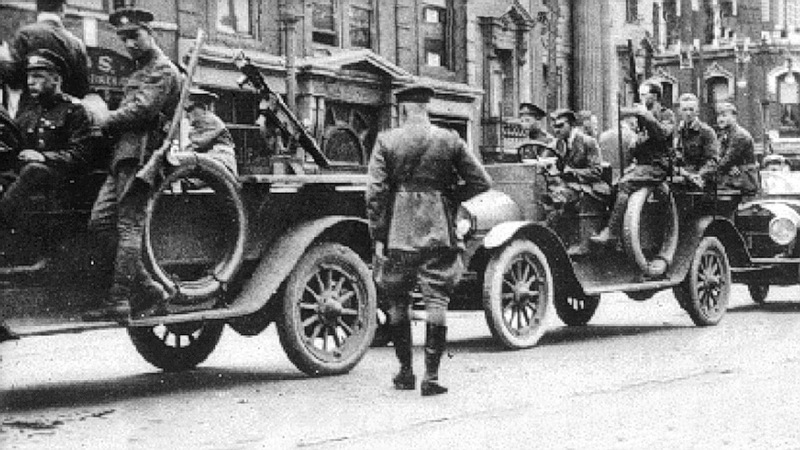 Known as “Bloody Saturday", it ended with heavily armed federal troops occupying the city's streets. With the combined forces of the government and the employers, the strikers decided to return to work on June 25th. 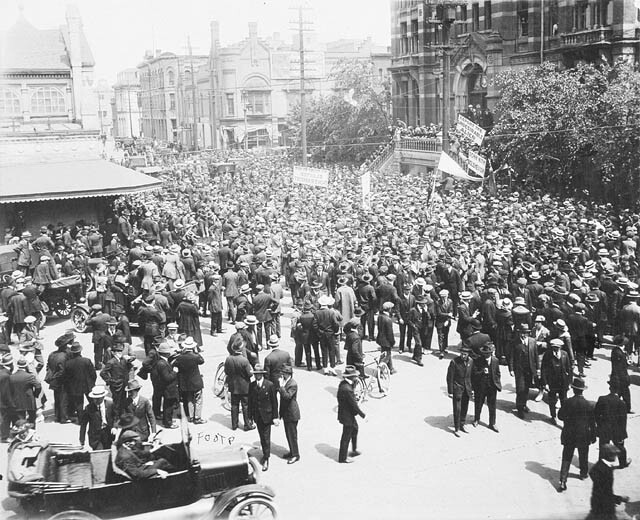 A wave like effect of increased unionism and sympathetic strikes started to take place in centers from Amherst, Nova Scotia to Victoria, British Columbia. After everything was said and done, it would still take another three decades before Canadian workers secured union recognition and collective bargaining rights. There is a saying that goes "those who do not learn from history are doomed to repeat it". This is why we celebrate the 100 year anniversary of the Winnipeg General Strike, so as not to forget the efforts made by our forebears and their fellow workers all those years ago. One-hundred years later, many employees are still struggling to acheive collective bargaining rights and freedoms, and in many areas they continue the fight for better pay and working conditions. Our city is once again seeing pay freezes and job cuts, unsafe working environments, unmanageable workloads, and for some, a daily struggle to earn a living wage and provide for a families basic needs. It is through their solidarity, back in 1919, that the road to unionization and a better quality of life and an overall better place to live, was paved. This is what all of the fuss over 1919, is about.